I recently acquired a copy of the Pocket Bible Devotional for Women. Small enough to fit in most pocketbooks, this is a very pretty 366 day devotional. 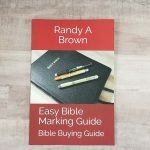 Christian Art Gifts provided this book free for review. I was not required to give a positive review, only an honest one. All opinions are my own. 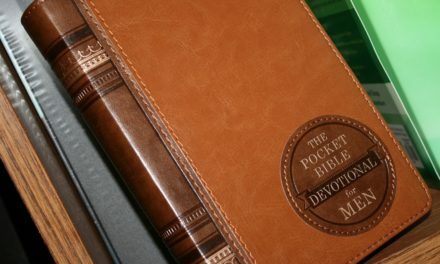 The Pocket Bible Devotional for Women has a cloth covered flexcover. It is dusty blue on the spine and has large pink and blue flowers and green leaves in muted colors on the rest of the cover. The page edges have a smaller coordinating flower print. Designed to be easy to carry it measures about 7.1″ x 4.75″ x .75″ and weighs less than 12 ounces. It has a sewn binding and an attached blue ribbon bookmark. All of the ink is blue. There is a title page at the beginning of each month’s devotionals with an illustrated scripture on the back side of the page. Each of the months starts on a right hand page so every month with an odd number of days (including February) has a blank page at the end of it. I would probably use these pages to make scripture lists for additional topics. A list of all the included topics from Abandonment to Zeal can be found at the back of the book with the date of that topics devotion. Each devotion is a single page. 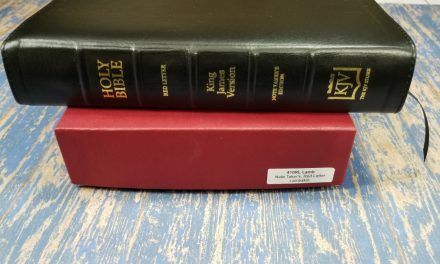 There are 5 to 9 scriptures related to the topic in double column format. The paragraph-long devotional is in single column and set apart by the pale blue box behind it. 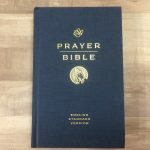 The scriptures are taken from a variety of translations including the NIV, NLT, ESV, and NKJV. These devotions are short but I really like that they primarily consist of scriptures. Since they are so short they would be very easy to fit into a busy day and you could use them as a starting point for prayer and further study on days that you had more time. Norma Rossouw (the author of the devotional sections) has done a good job of giving you something to think about without including heavy doctrinal biases. I also like that they have included more than one Bible translation. I frequently look up a key scripture or two of any devotional or study I do in more than one translation. While any reputable translations say basically the same thing sometimes slightly different wording helps you see things more clearly or stop and think about what the verse really means. 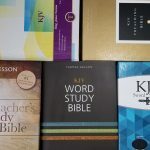 Looking all the scriptures up in a couple more translations would be another way to lengthen your quiet time with God while concentrating on God’s word and the specific topic. The Pocket Bible Devotional for Women is a nice basic devotional in a beautiful cover. The devotions are short and don’t include much commentary but sometimes that is exactly what we need. It is a nice gift as well as being a good addition to many women’s devotional libraries. 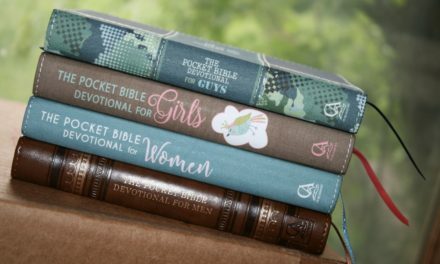 Reviews of the 3 other Devotionals in this line Pocket Bible Devotional for Men, Pocket Bible Devotional for Guys, and Pocket Bible Devotional for Girls will be coming soon.